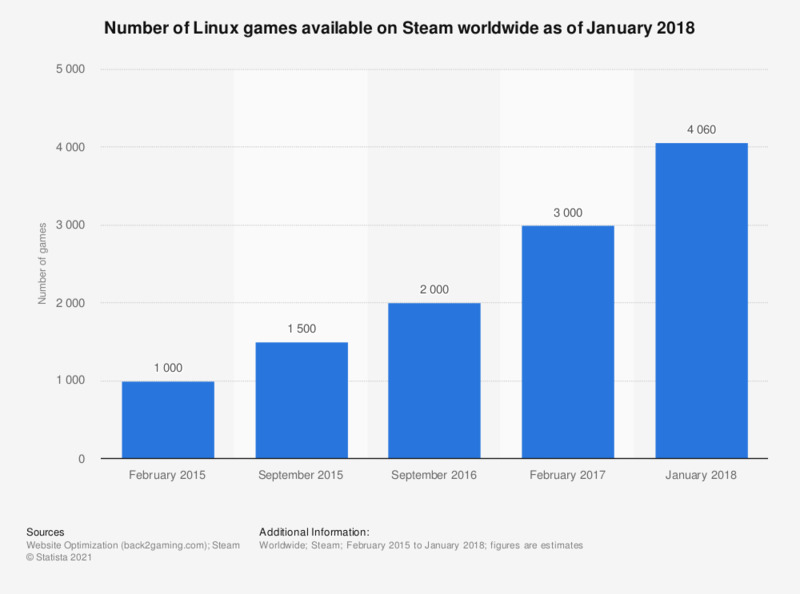 The timeline presents the number of Linux games available on Steam worldwide as of January 2018. In the last measured period there were 4,060 games with Linux support available on Steam, up from 3,000 a year earlier. Figures for periods prior to 2018 come from previous reporting. Have you spent money on video games in the past 12 months? Which of these devices do you regularly use to play video games?